Sierra Cache Cleaner is an award-winning general purpose tool for macOS X. SCC makes system maintenance simple with an easy point-and-click interface to many macOS X functions. Novice and expert users alike will appreciate the powerful toolset SCC provides. Sierra Cache Cleaner is one of the world’s leading maintenance tools, with millions of downloads around the globe. Maintenance. Sierra Cache Cleaner is a one-stop solution for all of your macOS X maintenance needs. Intel or PPC, Tiger or Sierra, SCC has the tools to keep your system running at its best. Optimization. Sierra Cache Cleaner can improve system performance by tuning Internet and file cache settings, implementing RAM disks, and cleaning out various cached and stale data. Customization. 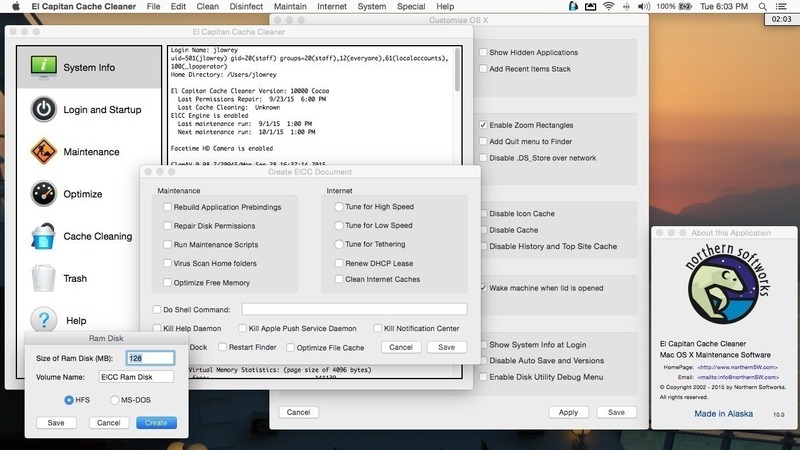 Sierra Cache Cleaner lets you control your macOS X experience. Turn off Spotlight or Dashboard, or turn on a Login Items folder. Disaster Planning. Sierra Cache Cleaner lets you create a bootable installer USB drive from your Sierra download that will boot and install Sierra on any supported machine. Antivirus. Sierra Cache Cleaner helps protect your system from malware. SCC adds three additional layers of malware protection to Sierra, and ships with the powerful ClamAV antivirus built in.